As part of the CU Johnson Depression Center’s (JDC’s) mission, we provide education and programming aimed at addressing current mental health issues and concerns. These programs have been developed and delivered based on the community’s needs, focusing on what is relevant and important to Colorado. Over the last few years, the JDC has built out eight different programs, including suicide prevention, self-care, stress management, understanding depression and mindfulness. Each program is designed to be an interactive, hour-long educational training for attendees to learn more about the topic and to gain resources, tools and support within their communities. The programs can be tailored to a variety of ages, demographics, and audiences including businesses, non-profits, religious entities and schools. In addition to offering trainings, the JDC also offers Train-the-Trainer opportunities for our suicide prevention programs. This allows individuals to become trainers in the topic and provide the educational program within their own communities or organizations. We are hoping to expand Train-the-Trainer opportunities to allow for more spread and outreach of mental health education and resources. As the JDC grows, we plan to continue to add programs to best serve our state. Our newest program addition is Working Minds: Suicide Prevention in the Workplace. This unique program aims at addressing the issue that the highest rates of suicide are in the middle-aged, working class adults. Through this program, organizations have the opportunity to learn more about how they can support employee mental health and how to best address suicide concerns. 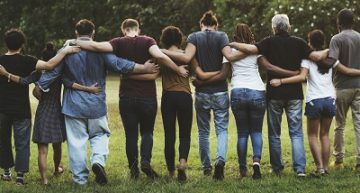 As mental health is becoming just as important to workplaces as physical health, this program offers education and resources for companies to support the overall well-being of their employees. ©2019 The Regents of the University of Colorado, a body corporate. All rights reserved. Accredited by the Higher Learning Commission. All trademarks are registered property of the University. Used by permission only.